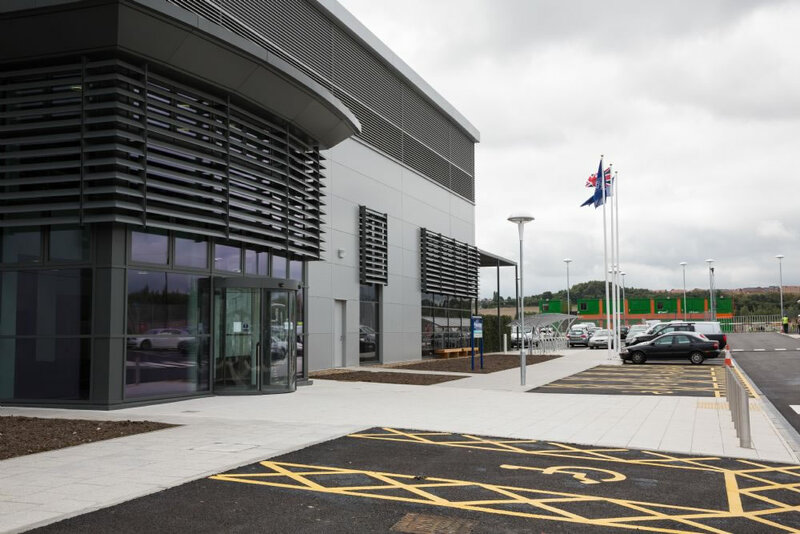 A £25 million, 200,000 square foot production facility is custom designed to suit the process of casting the advanced turbine blades for Rolls Royce’s aero engines. 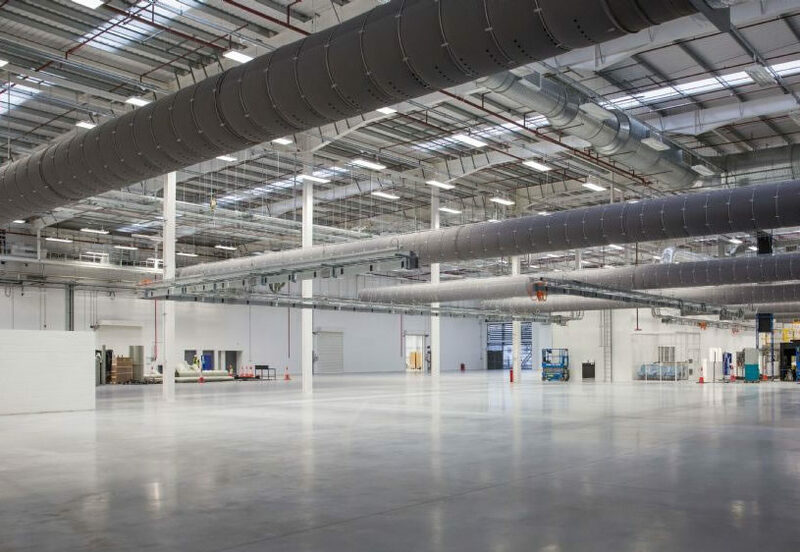 The general production spaces include Wax, Shell, Slurry, Pre-fire, Furnace, Leach, Etch and Finish Cells with Calibration laboratories. 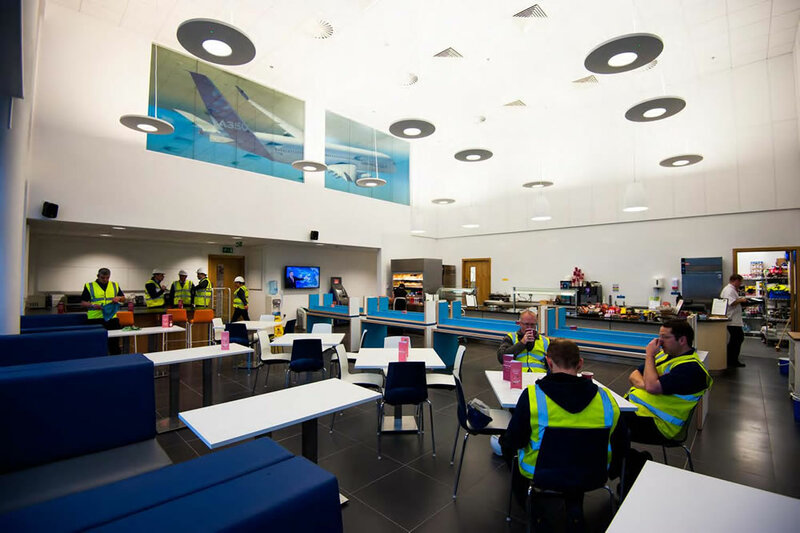 These spaces are flanked with two storey support office spaces incorporating a double height general office with individual work stations, meeting pods, informal meeting areas, a double height canteen and double height entrance area. Elsewhere meeting rooms and training spaces overlook the double height spaces with floor to ceiling glazed partitions. 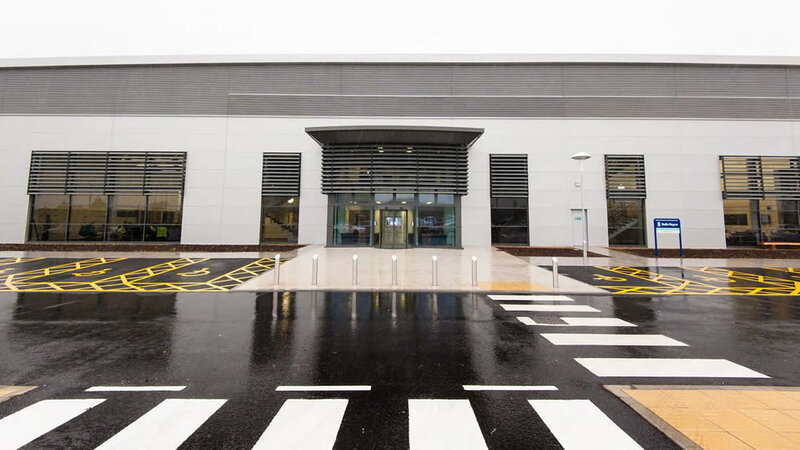 Ancillary Plant decks, lean to Plant rooms, Gatehouse, Secure Storage and Waste compounds compliment the final scheme. 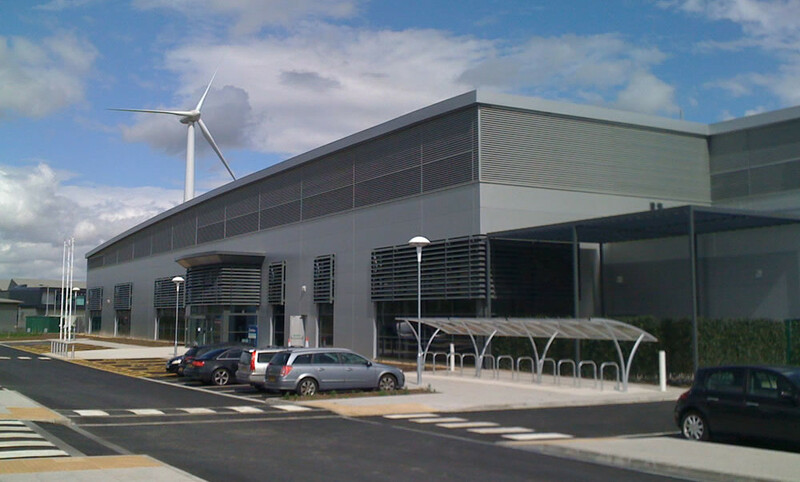 The new build manufacturing facility was handed over for fit out in July 2013. 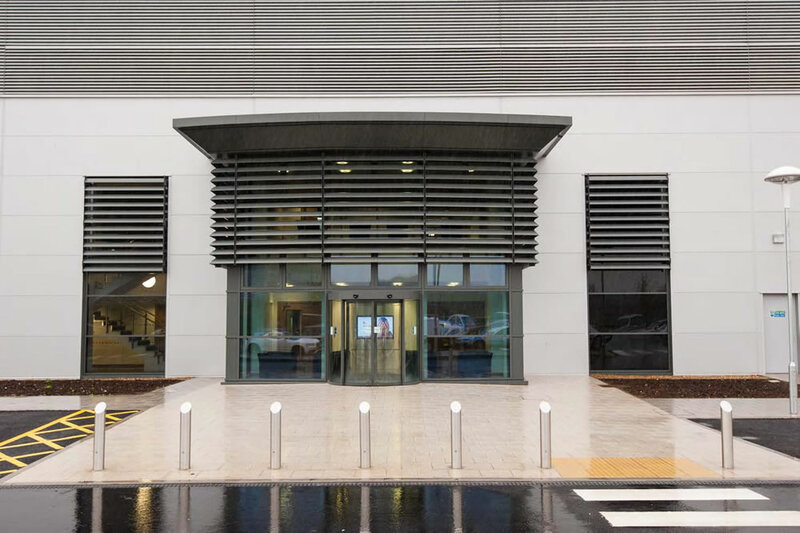 BIM was used by the whole design team in the development of the scheme which provided the tool to fully interrogate the three dimensional architectural, structural, and services design development in line with the spatial and service requirements of the Rolls-Royce process layout.